These are times when I feel as if the whole world is closing in on me — like I have this imaginary noose around my neck that is slowly, but surely, tightening its grip. So yeah, I am again wallowing in self-pity. Which is again brought about by my never-ending bout with depression and this feeling of uncertainty on what lies ahead for me in the coming years. 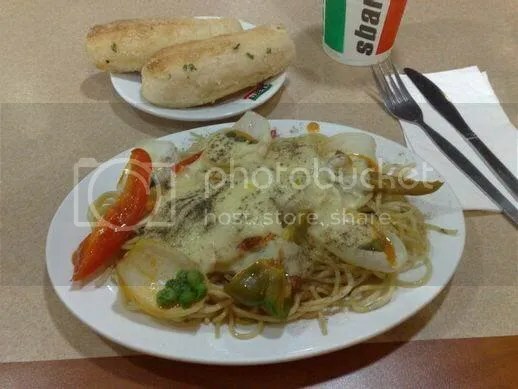 SBARRO’s Spaghetti with Chicken Romano in white sauce… with of course, their famous Garlic Breads. It’s a dangerous and unnecessary show of bravado if you ask me. I wonder if the company he works for provides workers compensation in case he falls down? 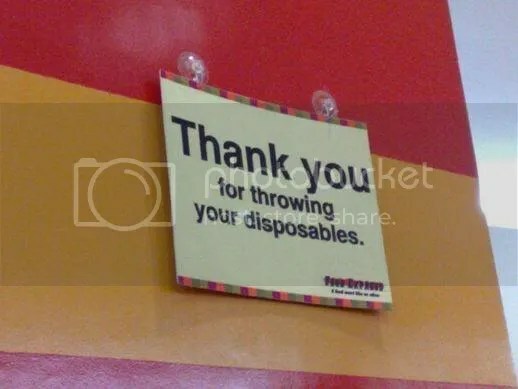 … although, I think the message is kinda incomplete, don’t you think? 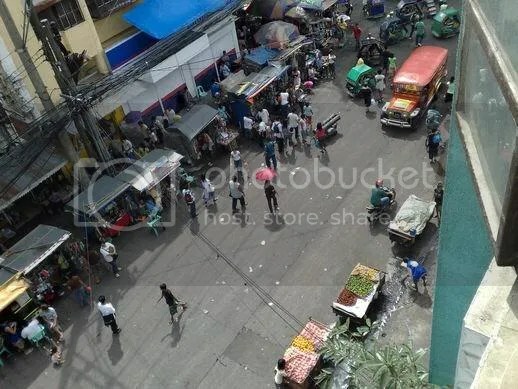 Even with the cops and city hall breathing down their necks everyday for the past month or so, some vendors still insist on staying put and continue playing the street version of the cat and mouse game. Don’t get me wrong here, I do laud the mayor for his effort in clearing up the streets of these pests. But unfortunately, his men, particularly the cops, obviously aren’t doing their job too well. 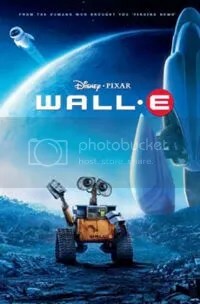 I never thought I’d feel for a character in an animated movie, more so, for a computer-generated robot, but I did… honest. Indeed, Kirk Honeycutt of The Hollywood Reporter said it best when he wrote that the film had the “heart, soul, spirit and romance” of the best silent films; and that the filmmakers have somehow “managed to tell a terrific story through visual and aural ideas which enabled the robotic characters to convey “a rainbow of emotions”. Come to think of it, they kinda look alike, don’t they? especially around those huge telescopic eyes. Anyway, if you haven’t seen the movie, I suggest you pay a visit to your friendly neighborhood DVD seller (or, as blogger Alternati would call, Jack Sparrows) and watch it this weekend. 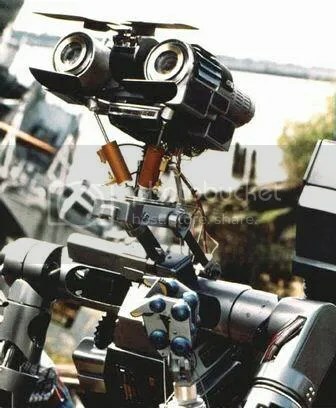 And, if you’re one of those who haven’t seen “Short Circuit” and its sequel, tough luck. I doubt if there’s a copy of it available these days. But don’t fret, word is, a remake of this 1986 sci-fi comedy adventure is in the offing and will probably hit the theaters in sometime in 2009 or 10. Four, that’s the number of days that went by since I last heard that all too familiar tone from the phone’s earpiece that tells me it’s working perfectly — the nth time it happened in as many weeks. Oh goody, another hate comment. It’s been a while since I’ve had one. Shucks, and here I am thinking that nobody cared anymore because the last one I got was I think, hmm… ages ago. It was, if I recall, the one where an irate reader dissed me for my lack of, err… taste, which was actually brought about my negative review of the Spaghetti Factory and its overpriced pasta. That commenter, it turns out, was the pasta joints’ owner’s daughter. And then there was that time when another reader lambasted me for writing a not-so-flattering entry about that ham actor and politician wannabe, Richard Gomez. Oi! can’t a man rant in peace these days? Anyway, I found this one sitting in my ever-efficient (sometimes, too efficient I’m afraid) moderation box last night, waiting for my approval. Being the fair and equal opportunity kind of person that I am, I naturally approved the comment, including all its nastiness. The reader, who was replying to this entry, posted almost two years ago, claims that she’s the cousin of the “Pambansang Kamao” whose highly-publicized and highly-politicized victory homecoming I pooh-poohed in that entry. Note: For non Pinoys, “Pambansang Kamao” literally translates as “National Fist”… which is just about as corny as one can get for a moniker. I know that this post has been posetd a long time ago but anyhow I still would like to post my comment. First and foremost, I ask you all not to think so little of Manny, not for anything but coz he is not that bad.. 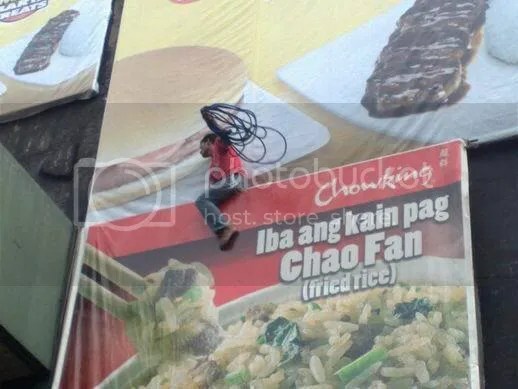 He expresses his loyalty to the Mayor not coz he is stupid or anything.. the Mayor also I believe is coming from an intention to inspire his constituents to do what Manny did.. you see, their relations go way back.. when all of you did not even bother watching Manny’s games coz he still was unknown then. Mayor Atienza was the only one who dared believe in the Man’s talent, in fact, he even opened boxing Matches in his city just to accomodate Manny coz he believed in his talent. See, that is the reason for their bond that all of you mere “spectators” see as “leeching!”.. all your accusations are very much false and unfair.. and we urge you before you post anything about anyone, research,,, research.. research .. dont let your mindless fingers do the talking for you.. this is the reasoon why people think that FIlipinos are stupid.. coz all you do is talk.. talk and talk… I admire the Mayor for believing in Manny even when people did not give him the respect he deserved for being so good at his craft… YOu all are a bunch of stupid idiots.. and yoyu all think your so much smarter huh! yikes! oh, by the way I am Manny’s cousin.. and Id like you all to know that if you all continnue being this way, I beleive that nothing will ever happen to your lives! ciao.. I wrote in this blog, once, about my preference for edgy comedies such as that of Mel Brooks’ films. Well known for his comic parodies and poking fun at just about anything, nothing is sacrilegious in his movies… not even religion. He gave audiences a farcical and humorous peek into some of Hollywood’s most iconic movies through “Young Frankenstein“, “Blazing Saddles” and more recently, “Dracula: Dead and Loving it”. But among his body of works, “History of the World, Part 1″ stands out as, in my opinion, the best of the lot; and is on top of the list of my all-time favorites. For years I’ve been trying to look for a DVD, or even a VCD copy of this 1981 gag-filled, tongue-in-cheek look at human culture, to no avail. I did have a copy on VHS (copied from the original tape from the video rental shop… yeah, bad bad me) but like the rest of my video tape collections, it too had fallen prey to the ravages of time and mold. 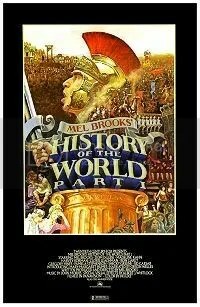 So while I still search in vain for a digital copy, I have to be content just watching snippets of some of the funniest scenes from the movie on You Tube, uploaded by fans of this Mel Brooks classic. 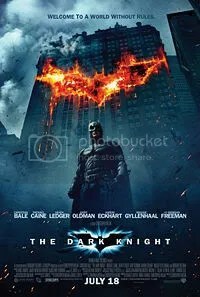 … are what I think best describe the latest installment of the Batman prequel that began in 2005 with “Batman Begins“. Director/producer Chris Nolan wisely chose to veer away — as he did in the first installment — from the usual comic book-like treatment by other directors and present it in a more Gothic-like atmosphere, where the fine line between good and evil is somewhat blurred. More suited for adults rather than the below 13 audiences, the old comic book heroes of my youth had indeed come a long way… and I like. Having missed it during its entire run in the theaters, I was only able to watch this latest caper of the caped crusader in rubber tights only yesterday… in the comfort of my bedroom… and in my PC… which means, that it’s a pirated DVD. Oh yes, I’m not averse to supporting the video piracy industry, so sue me. 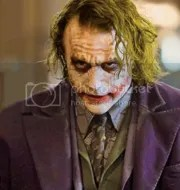 Anyway, I can’t help but feel that the late Heath Ledger, who played The Joker in what was to be his final movie, had taken over the entire film. Heck, you can feel his scary presence in every scene. His Joker character was a far departure from Jack Nicholson’s pathetic screen rendition in the franchise’s first romp on the big screen (it’s actually the second, if you count that corny 1967 movie adaptation of the TV series), and certainly light years away from Caesar Romero’s comical Joker in the campy Batman TV series of the mid 60s. That’s right kids, there was already a non-animated Batman TV series back then, and it was one of the most eagerly awaited weekly show for a then impressionable 6 year-old.